Having been a qualified person-centred counsellor for 12 years, I have been working for a children’s hospice as a counsellor for the past 9 years. I have experience of working with adults, children and young people. I work with clients experiencing, anxiety, stress, depression, generalised anxiety disorder, low self-esteem, sad feelings, relationship and family issues, seperation, divorce and loneliness, bullying, trauma, loss and bereavement. I offer you a safe and confidential space, where you can explore your thoughts and feelings with no judgement. I offer you an empathic and caring therapeutic relationship built on trust, understanding, authenticity and acceptance. Our work together will be led by you and your needs and will not be time limited. Sometimes the stigma surrounding seeking help and support can make people afraid of getting the help they really need. Counselling isn't for everybody, but it can help most people. I believe that there is nothing wrong with needing assistance, because we all need help from time to time.I am also experienced in working creatively in sessions with clients using sand tray work, collage work and other creative ways, especially with children and young people, if you feel this way of working would be helpful to you at all. I have a room in my home that I work from which is a confidential and safe environment for counselling sessions to take place in. My home is in the suburbs of Oswestry, but is within easy walking distance of Oswestry town centre, there is also ample parking space on my drive. 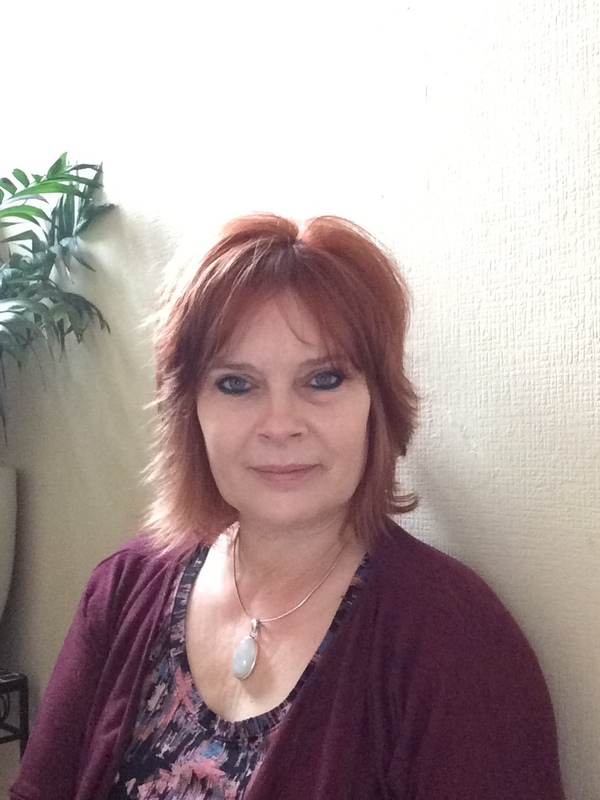 I have been a qualified person centred counsellor for 12 years, and have an advanced diploma in gestalt therapy. I am currently in training to be a counselling supervisor. Because I am presently in training, I am therefore able to offer supervisees a reduced rate of £20 for an hour and a half of supervision, which is the BACP minimum requirement for counsellors. I have a room in my home which I use for my private practice and my supervision work. My home is in the suburbs of Owestry but is well within easy walking distance of the town centre, there is also ample parking on my driveway. I offer a free initial assessment session of half an hour, for us to meet and see if we could work together and for you to ask any questions you may have about my supervision and the way I work. However if you would like to ask me any questions after reading my profile then please contact me.